I loved this book. I want to be Mindy's BFF. She's funny, she's honest, she's just a bit over-dramatic, and she's a goody-goody at heart who still loves to hang out with her parents--she's just my type of lady. The biggest negative about the book is that the narrative flow of the chapters isn't the greatest. It tends to jump from one topic to another. But as I enjoyed everything that she had to say, it didn't bother me that much. It's also very much a "girl" book--most of the humor revolves around things that men may not find that funny. I read Tiny Fey's Bossypants shortly after reading this, and I have to say that I enjoyed this one a little more. 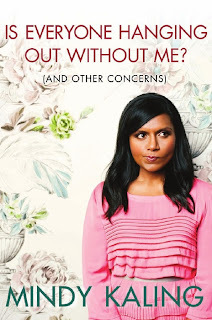 Mindy seems like a real person with insecurities and flaws. I can relate to her. This is the next book I'm going to get on Audible. Glad you liked it... I've read mixed reviews, but after this one, I'm definitely getting it!